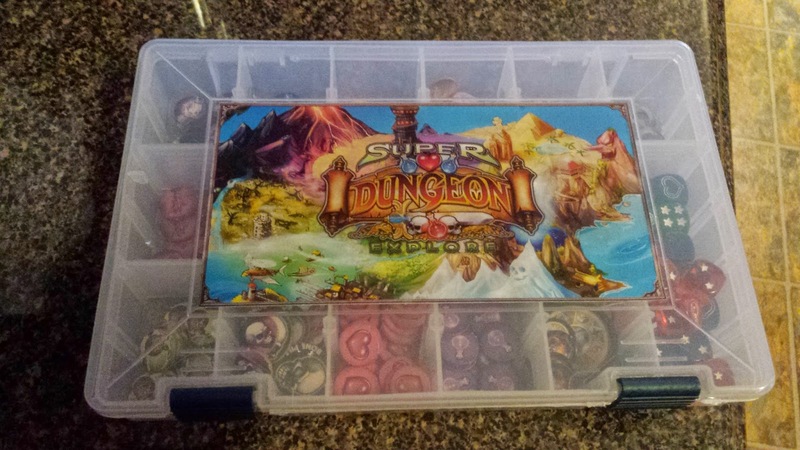 I love this game, but since I first picked up Super Dungeon Explore, its been a storage headache. Even more so now that I have many of the models painted. It doesn't help that I hate mixing tokens together and having to sort through them all during set up. Individual plastic baggies didn't help either and seemed to take up a lot more space. And then you've got a bunch of plastic bags floating around. I tried 2 sets of bags too, but it still didn't seem to be optimal. 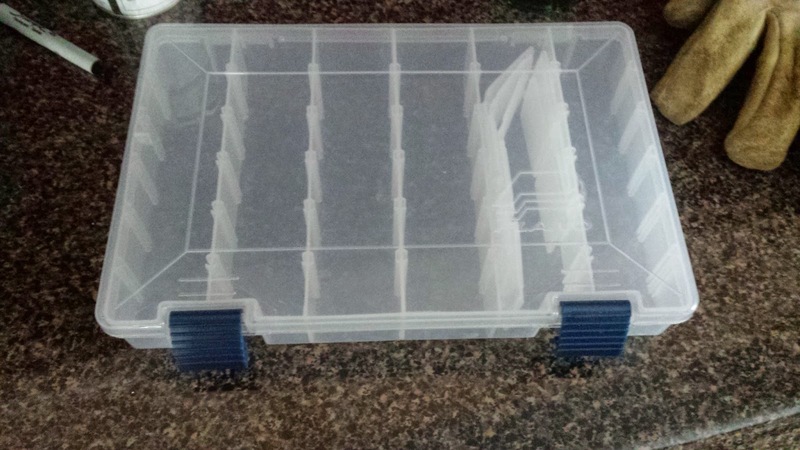 That's when I decided to take a page out of the Star Wars: X-Wing book and make a new custom labeled storage box. 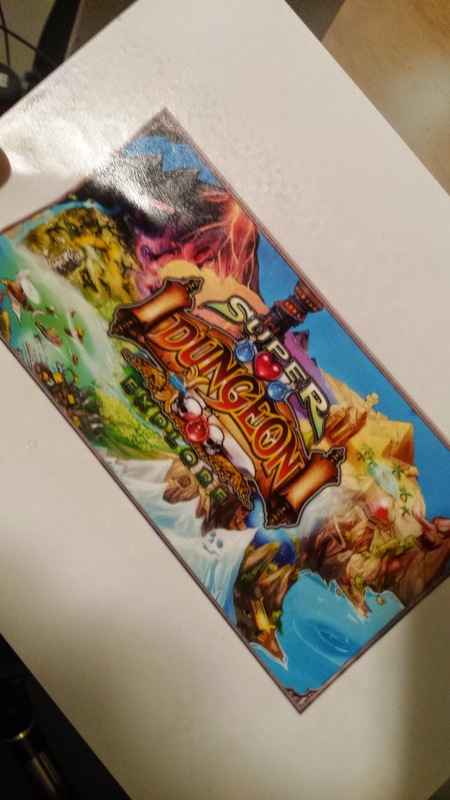 To the Googles I went and there I was able to search up a fairly decent resolution image of the Super Dungeon Explore Logo. 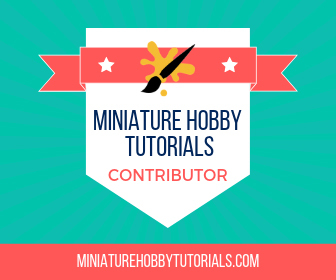 A quick touch of the wand tool in Photoshop and the white background was gone. Then I scanned in the cover of one of the mini Spawning Point expansion packs and stole the border from it using the Pen Tool to trace it out. Finally it was time for a background image. To Soda Pop's site I went and under their media section I snagged the backgrounds they have up for grabs. I tried the Original SDE Box Art background first. Then I pulled up the map of Crystalia and after a bit of resizing, it fit into place. the spray booth for a couple quick coats of gloss finish. The gloss finish really makes it pop and gives it a more professional look. Rather that the plain printed finish that looks cheap and home-made. All in all, I think it turned out great! 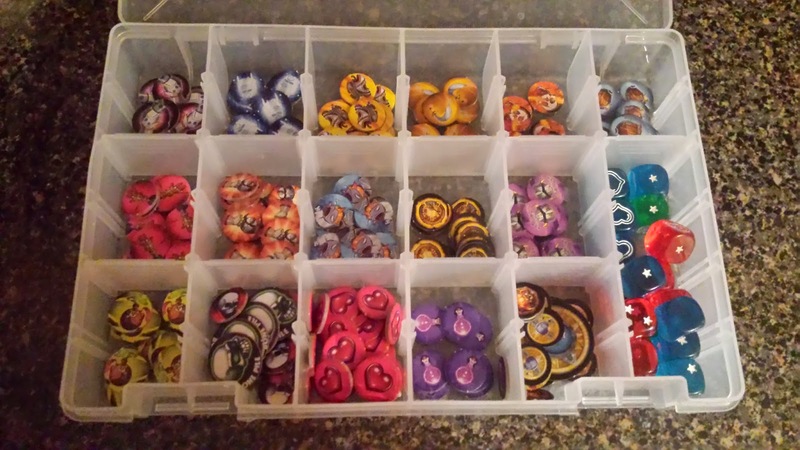 It puts all the tokens in their own spot and I don't have to dump them out on the table and sort them. Once Super Dungeon Explore: Forgotten King Arrives, I'll be transferring the old tokens out and the new ones in. I'm not sure if I want to mix in the old Heart and Potion markers with the new ones though. We'll see.